Maui is one of my favorite places to visit. Its laid back, relaxed atmosphere and warm sunshine make it the perfect winter getaway. 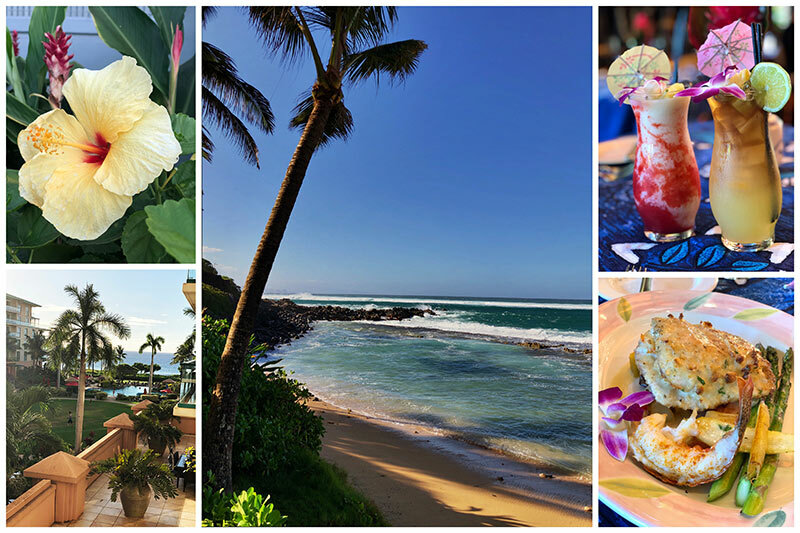 Here’s my list of Fun Things to Do and Eat in Maui Hawaii. I’ve been fortunate to have been able to travel to Hawaii several times. My favorite island is Maui. 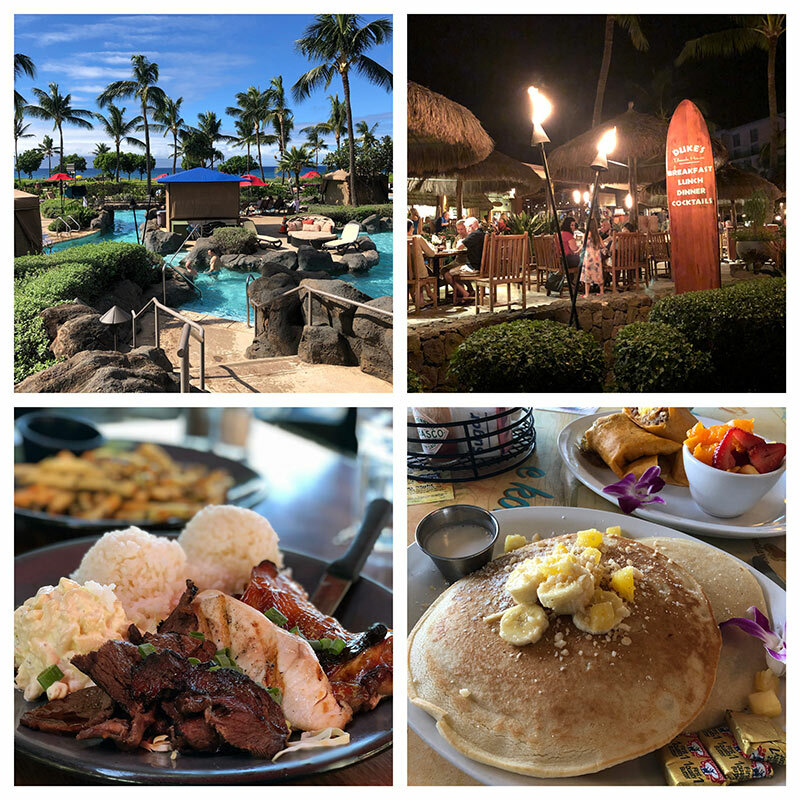 For me, it has just the right balance of relaxed tropical lifestyle when you want to slow down, but plenty of activities and lots of great restaurant choices when you want to go out. According to this article, Science Shows How A Trip To The Beach Actually Changes Your Brain, the beach reduces depression, makes you more creative, de-stresses you, and changes your perspective on the world. Definitely reasons to plan a beach vacation soon! We stayed at the Honua Kai Resort on the Kaanapali North Beach. Duke’s Beach House is on the Honua Kai property. It has great food, a bar, and live music every night. After checking into our condo, we headed to Duke’s for a tropical drink and delicious dinner. It was the perfect start to our getaway. The next morning we jogged along the walking path next to the ocean to the Castaway Cay restaurant for breakfast. It’s an oceanfront cafe with a fun menu and specials throughout the week. From our hotel, it’s only a 10-minute drive to Lahaina. Lahaina’s Front Street is filled with fun restaurants and shops, and my favorite spot Ululani’s Hawaiian Shave Ice is a must try. Aloha Mixed Plate on the north end of Front Street is a great place to get a quintessentially Hawaiian meal for a reasonable price. Their oceanfront property is a perfect place to relax and enjoy the beautiful Hawaiian scenery. On previous trips to Maui, we spent most of our time scuba diving. We weren’t diving this trip, so we had more time to explore the island. My husband and I love the ocean, so we wanted to get out on the water. 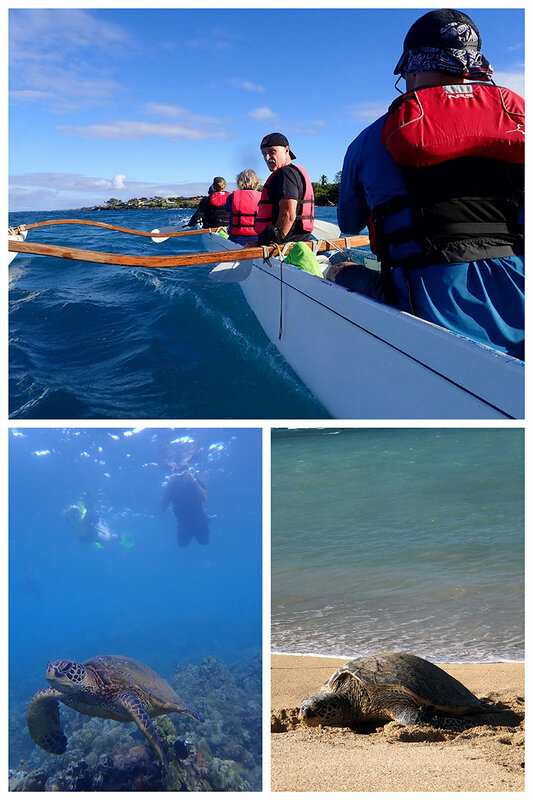 Hawaiian Paddlesports had a South Maui Turtle Town Outrigger Canoe Tour that combined paddling a traditional Hawaiian outrigger canoe with a snorkel trip to Turtle Town. The outrigger canoe was a great way to get a good workout and be out enjoying the warm Hawaiian sunshine. After paddling for a couple of hours, and a brief stop for water and snacks, we stopped at Turtle Town, Maluaka Beach, to snorkel. While the tours can’t guarantee that there will be turtles at Turtle Town, fortunately, there were lots of turtles in the area that day. There’s something sort of magical about being in the ocean when a giant turtle glides by you. For me it never gets old. 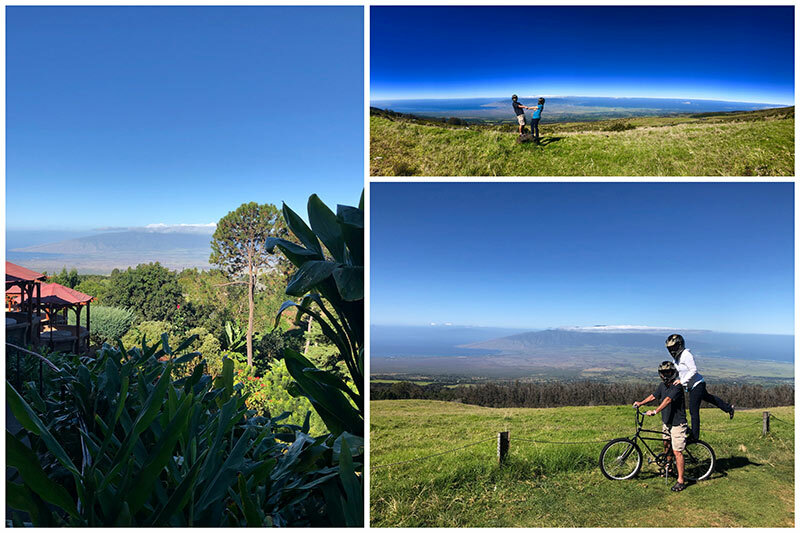 The next day we joined Maui Easy Riders for a bike ride down Haleakala, Maui’s largest volcano. The ride starts at about 10,000 feet above sea level, so on a clear day, you have amazing views. We did not do the early sunrise bike ride, instead, they prefer to start later in the morning when there fewer crowds. The ride was well organized and you travel on paved roads the entire way. It’s a super easy, fun ride mostly downhill with stops along the way to take plenty of awesome photos. We stopped in Makawao, a quaint little town nestled in the hills, for a bathroom and snack break. 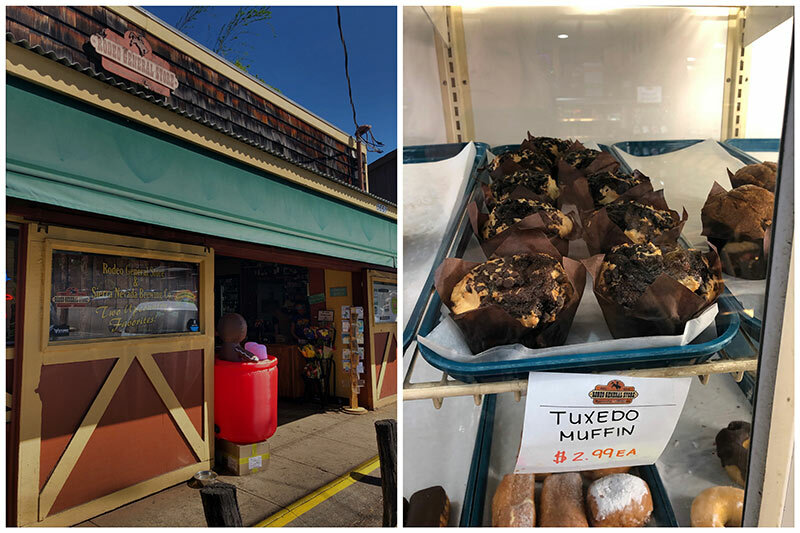 I bought a Tuxedo muffin at The Rodeo General Store. 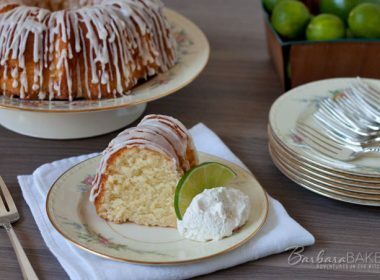 I’m planning on sharing my version of that recipe next week. There were lots of great shops in Makawao too. So we came back to do some shopping on our last day in Maui. 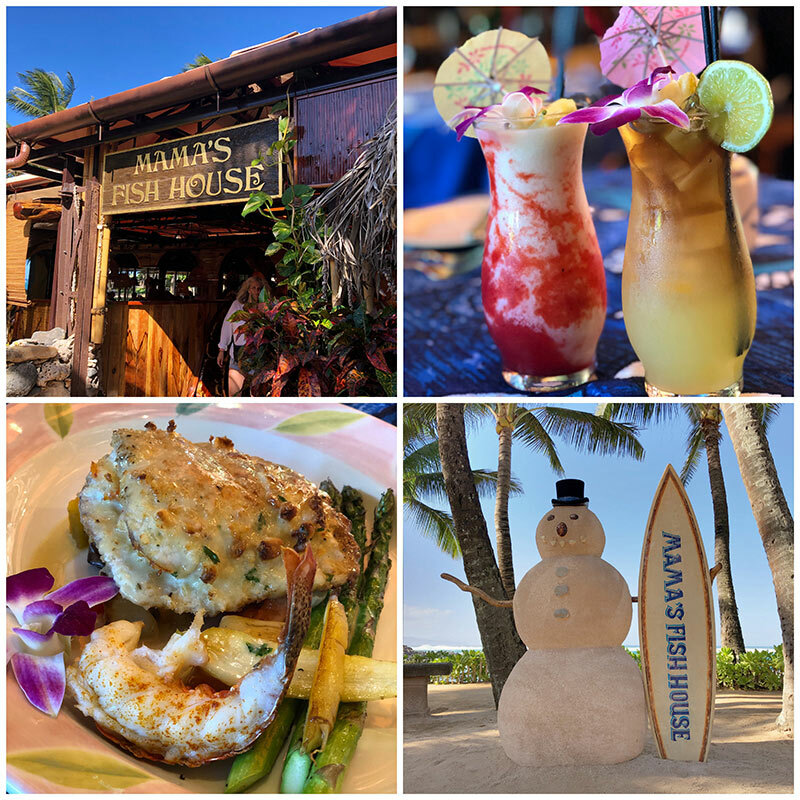 Mama’s Fish House is a very popular restaurant in Paia. Before we left for the trip, I tried to book a reservation for one night during the week we would be in Maui, but they were completely booked. So instead we dropped by after the bike ride for an early dinner. There was no wait for a table, and were able to enjoy the beautiful ocean views. Since it was Christmas time, they had a fun sandman on the beach. They have benches outside the restaurant near the shore where you can sit and enjoy the huge waves on this side of the island after you’ve enjoyed your amazing meal. The next day we had a private Road to Hana tour with Tim from Maui Easy Riders. You can drive the road to Hana by yourself, but it’s a narrow winding road and we decided to just relax and let someone else do the driving. Also, Tim knew out of the way stops and adventures that we could not have done on our own. We started early, 7 am in Paia on the North Shore, and together drove to Grandma’s Coffee House in Kula for breakfast. 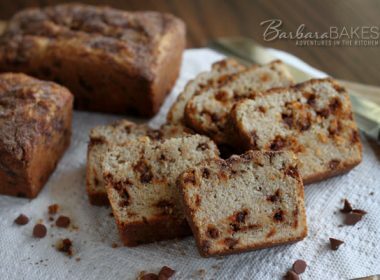 Grandma’s had a breakfast special, ham and egg sliders on Hawaiian rolls with grilled onions, that I highly recommend, and awesome baked goods, including their famous coffee cake. We had them box up several treats to take with us on our tour, including some coconut pineapple bars that I hope to recreate at home soon. 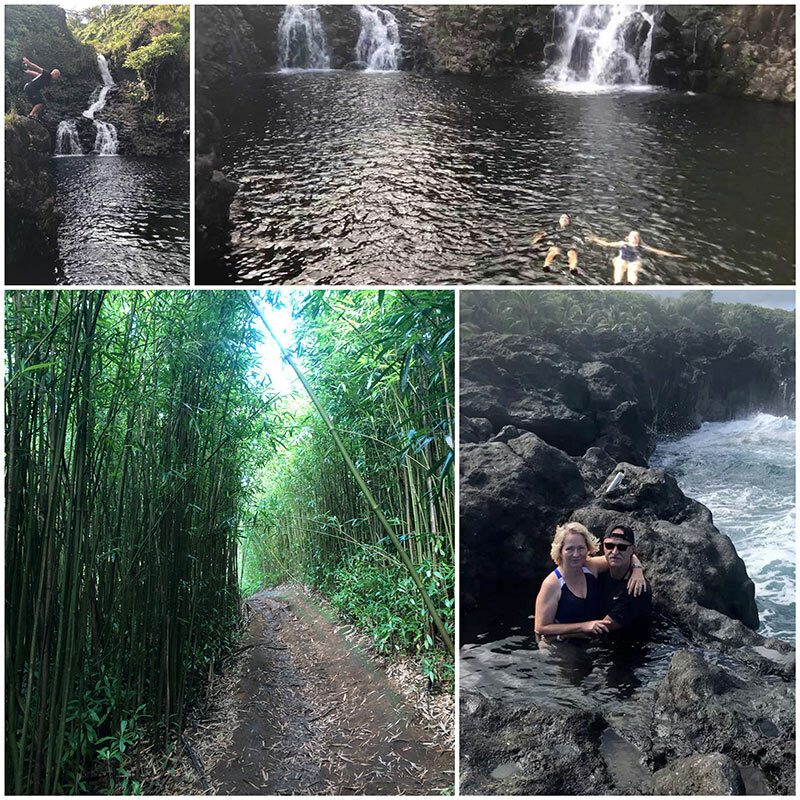 On the road to Hana we stopped and swam in natural pools underneath waterfalls away from the crowds. Hiked through a bamboo forest to a beautiful river. Spent time exploring the lava rock, blow holes, and black sand beaches. It was an amazing day tailored to what we wanted to do. That side of the island gets more rain than the Kaanapali Beach area where we were staying, but the day that we visited there were only a few drops of rain. Because of all the rain, it’s a beautiful, luscious part of the island. On the way home from our Hana tour, we stopped at Star Noodle, another highly recommended restaurant that can be difficult to get reservations. Fortunately, we stopped in before the crowds formed and were seated without a reservation. We enjoyed the steamed pork buns and garlic noodles. No trip to Hawaii is complete without eating some Malasadas. 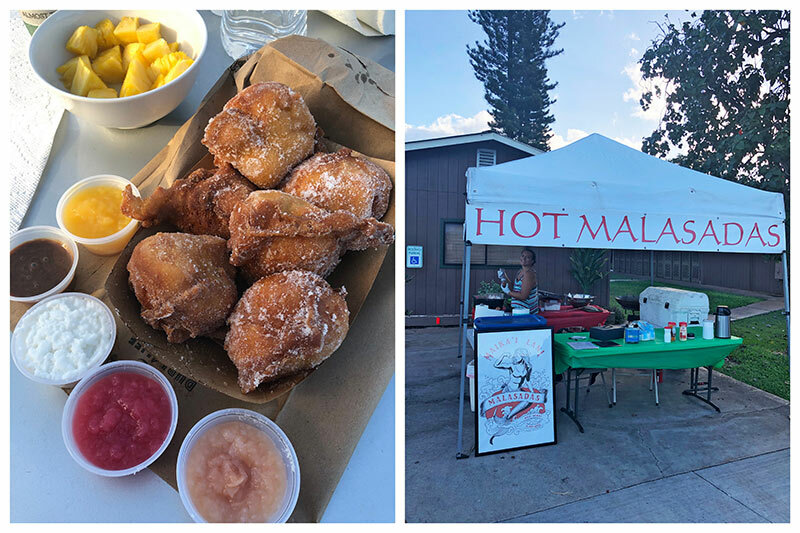 This time we stopped at a highly rated malasada food stand, Maikai Lani Malasadas. They set up in front of a church several days a week and their flavors vary daily. We asked for the fillings to be served on the side so we could try all the flavors. If you want to make Malasadas at home, I posted my Cinnamon Sugar Malasada recipe after our trip to Maui in 2016. Several days we went snorkeling from the beach. We used the Hawaii Snorkeling Guide to find great spots to snorkel. One of our favorite spots was Kapalua Bay. We really loved this area. It was a nice sandy beach with great snorkeling in a calm C-shaped cove. We saw lots of fish and several turtles while snorkeling at Kapalua Bay. We also snorkeled at Honolua Bay. It’s a Marine Life Conservation area located on the northwestern end of Maui. You have to hike down a tree-lined path to get to the rocky beach, but there were lots of fish hiding in the rocky shore. 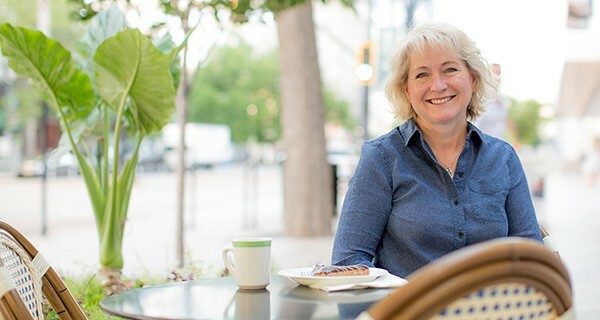 Before leaving for the trip I asked Cathy Pollak, Noble Pig, for restaurant suggestions. One of the places she suggested was The Plantation House. My husband and I got dressed up for the night and were treated to an elegant, delicious meal in the beautiful plantation house overlooking the golf course and the ocean. One morning for breakfast, we stopped by Leodas Kitchen and Pie Shop for breakfast and pie. They have full-size pies and mini pies, so you can try as many flavors as you’d like. 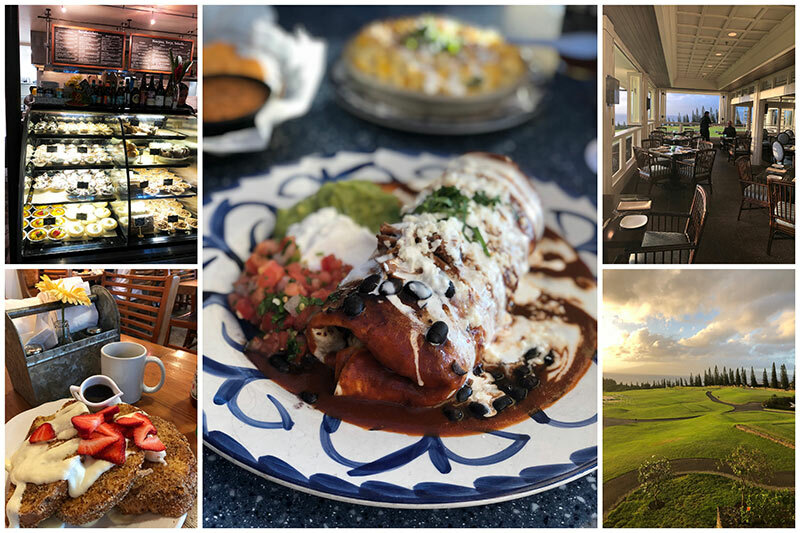 You don’t think of Mexican food when you think of Hawaii, but Cathy recommended Frida’s Beach House and we were glad we gave it a try. We enjoyed the great tasting traditional Mexican Cuisine while relaxing on the waterfront patio. It’s a great way to end the day. Most flights leave Maui late at night and arrive back in the US in the morning. We had to check out of our condo by 11 am, so I booked a hotel near the airport. We spent the afternoon strolling on Kanaha Beach, enjoying the ocean, the turtles, and watching the kite and windsurfers. (You can see the kite surfers in the turtle picture above). After a quick stop at the hotel to shower, we headed over to the mall to watch the new Queen movie, Bohemian Rhapsody. After the movie we had a late dinner at Da Kitchen. I fell in love with their Garlic Lime Chicken Fettuccini. Fettuccini noodles tossed in creamy garlic lime Alfredo sauce and topped with Chicken Breast. 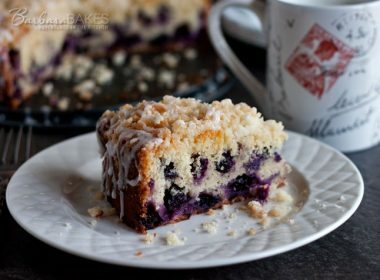 I’m definitely recreating that one at home soon. We had the hotel shuttle take us to the airport and arrived back home about 10 the next morning. We left the Hawaii sunshine and came home to a few inches of snow on the ground in Utah. Next time I think I need to book the trip for two weeks! If you’re thinking of going to Maui, I highly recommend it. I’m happy to answer any questions you might have. Aloha! 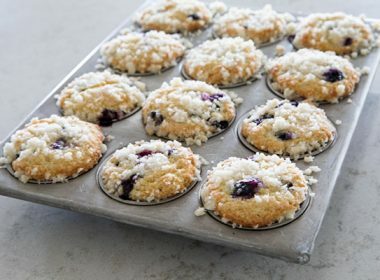 Update: I posted my Tuxedo Muffin and Pineapple Coconut Bar Cookie recipes. I was born on Oahu all those years ago, LOL! My island is still Maui, hands down. We have a timeshare in Kihea, and we enjoy exploring and snorkeling around the island. Mama’s Fish House! Love that place! I made a reservation the day we landed, and we had a perfect table overlooking the beach. The fish was superb. I long to return there, again. Great roundup of places to try– some of them are new to us! OK, you’ve convinced me. A trip to Maui is now essential to my happiness and well being! 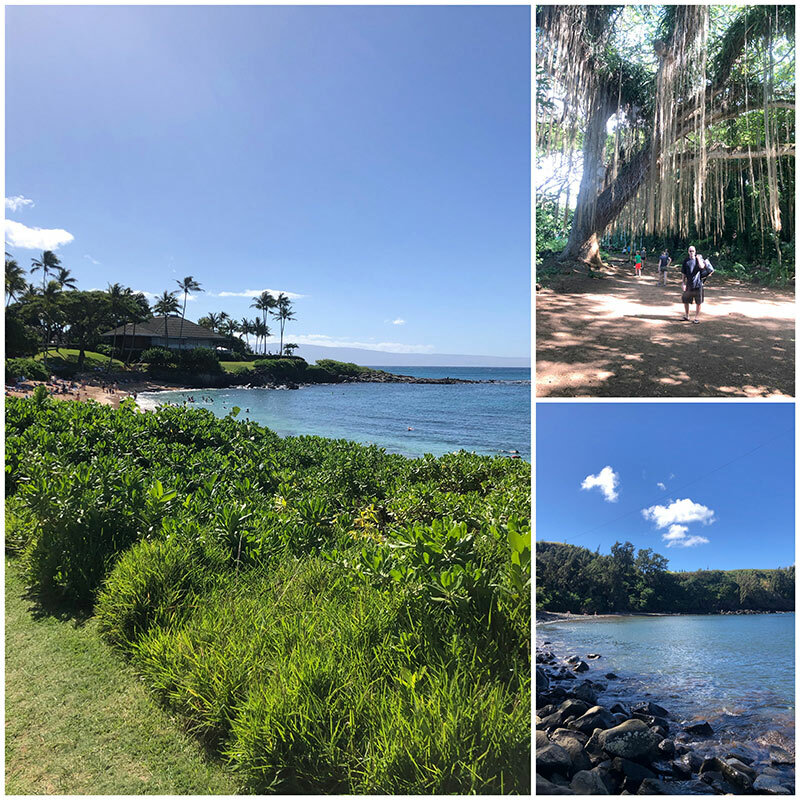 I went to Maui last year did the first time and split my trip between Wailea and Kapalua. I’ve been craving Ululani’s ever since. They have a shop in Kihei, too, which is great because I probably will stick to Wailea on the next trip. Soooooooo yummy! 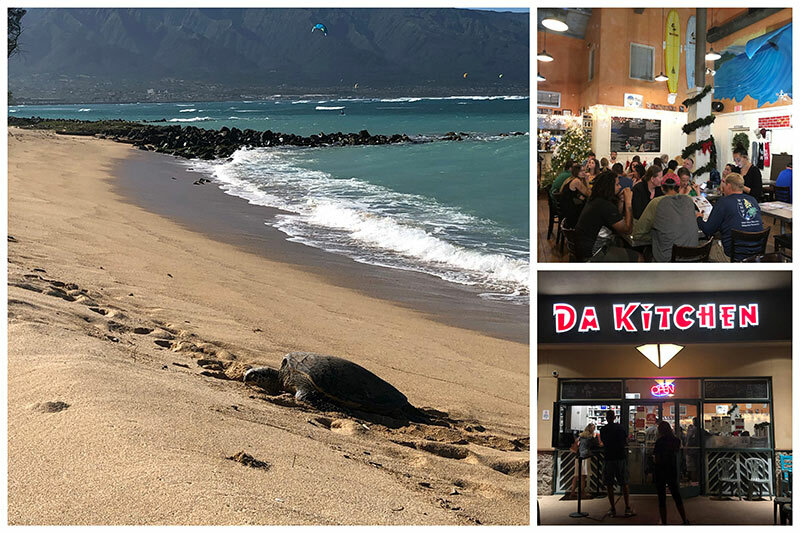 Hi Danielle – one trip I’ll have to stay in Wailea and check out all the great restaurants there. Hi Nadine – that’s my mom’s name 🙂 You’re going to love Maui! There’s plenty to do without hiking and snorkeling. Have fun! Thanks so much for sharing your wonderful trip, I almost felt as though I was right there. 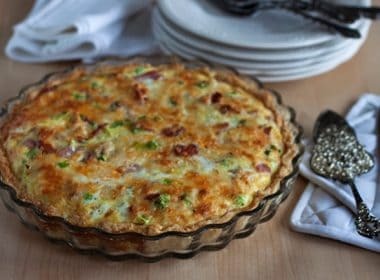 Fabulous photos and the food looks delicious. Can’t wait to see what recipes you put together. The photos were so relaxing that I can’t imagine how relaxing it would be in person. Hi Laurel – what a great time to go – it’s peak whale season then so you should see some whales 🙂 Since it was a private, all-day, 10 hour tour, it was expensive $750 for up to 7 people. What an amazing trip you had! 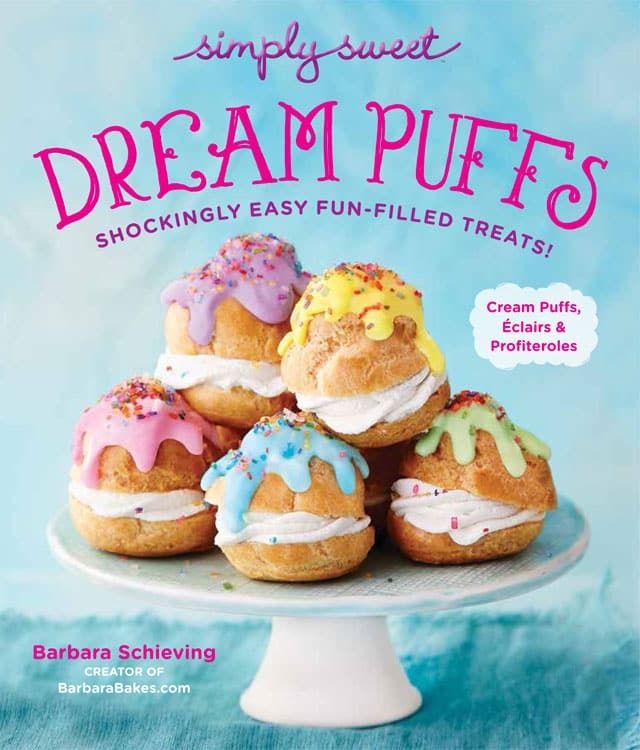 And so packed with all kinds of fun things too…and the food-oh my goodness! Sounds like you came back with a list of new ideas to recreate. I can’t WAIT to show Bob this post-he’s going to love it. He went to Maui many times when he lived in CA. (Hawaii was in his “district” when he worked in field service for Digital Equipment Corp…he NEVER minded going on those trips at all). 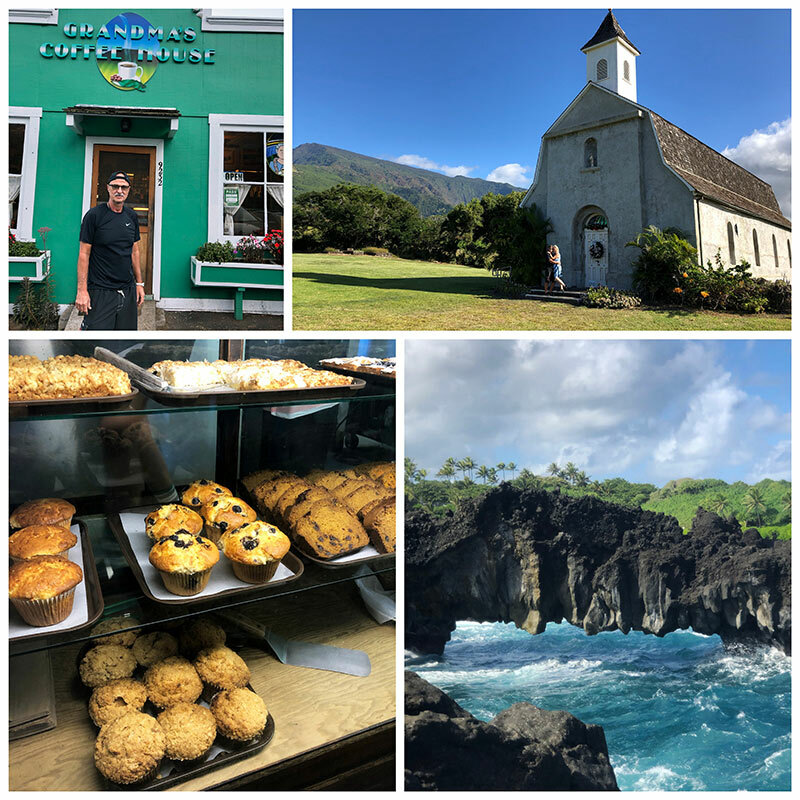 He had friends who lived on the islands so his tours were with people who knew a lot of fun places that the regular sightseeing tours didn’t know about. He has a lot of great memories of Maui and a few of the other islands too. He may have questions for you after reading this as to if certain places are still there….something about an ice cream stand on the Hana Highway-I’ll have to find out the name again. Thanks so much for sharing all those glorious photos…..go figure you came home to snow….reality hits huh? Thanks Carol! So glad you had fun reading it. I hope it brings back memories for Bob!